Dallas, D.C., and now Vegas; Obamaites are the mass murderers who are a danger to America. 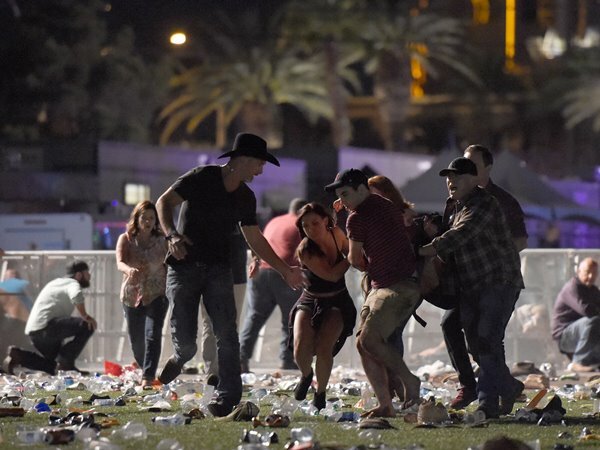 From the videos it can be heard that the Vegas shooter had fully automatic AK-47 with drum magazines holding 100 rounds, which he changed at least twice, as well as other guns. He fired randomly from an elevated position into a large crowd guaranteeing he would hit many people. Over fifty are dead and hundreds wounded. This is what Obama’s Army Antifa, BLM, and Islamic leaders have been advocating and will no doubt be gratified was done. As they shed their crocodile tears on television while hoping for more they will blame Republicans, blame the victims, for the hate, and claim credit as the party of compassion. Express your thanks to the Democrat Party and the NFL for promoting this hate; that Republicans, southerners, TEA Partiers, police, country music people, and anyone they can associate with their fiction that the Right are “white supremacists,” “Nazi fascists,” and racists who should be slaughtered. Expect two things; one, they will push for gun control because after a Democrat mass murders Republicans it is always best to take guns away from Republicans. And two, expect that the Left will express their contempt for the victims in other ways while distorting their responsibility for inciting mass murder. This entry was posted in Politics and tagged Antifa, BLM, Country Music concert massacre, Democrat terrorism, Democrats, Islamists, Las Vegas, Las Vegas mass shooting, Liberalism, Vegas shooting. Bookmark the permalink. Pingback: Vegas shooting proves leftist fascists, not white nationalists, are the ISIS of America | Liberals Backwards Think – Shouting from the rooftop. . .